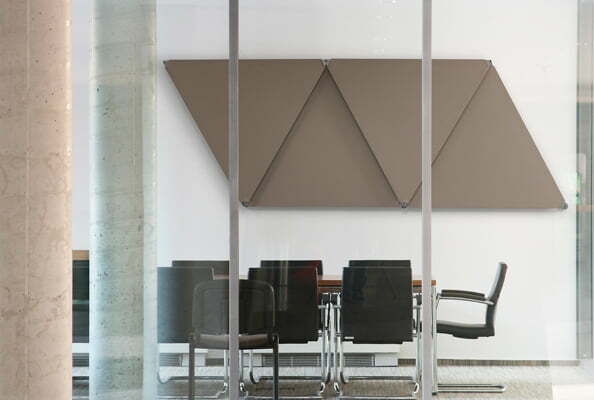 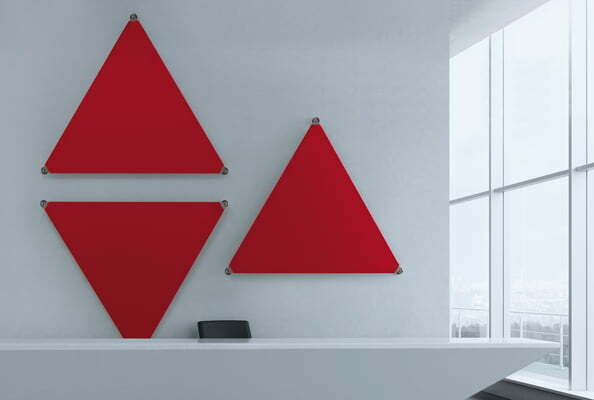 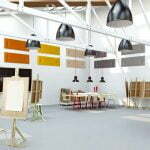 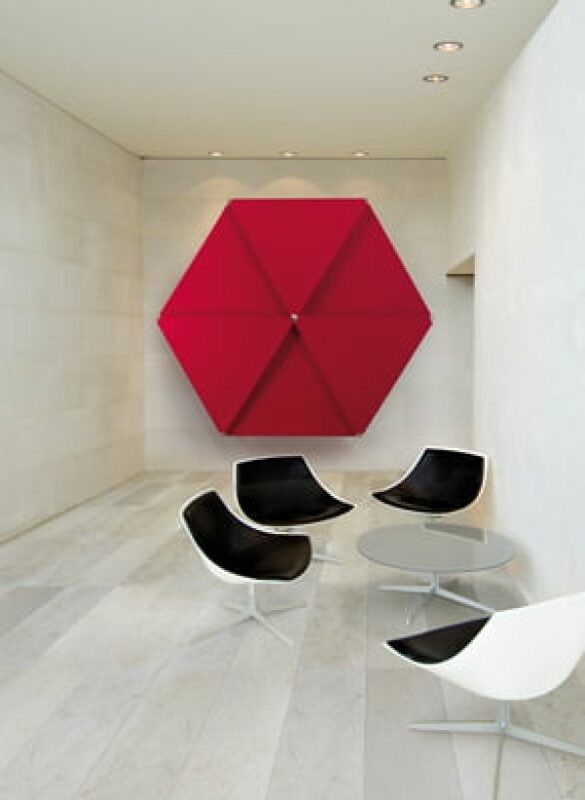 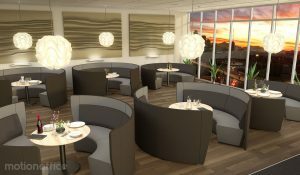 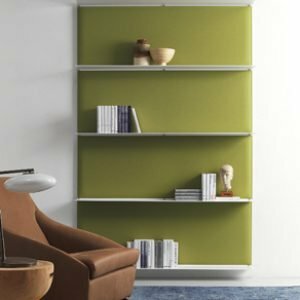 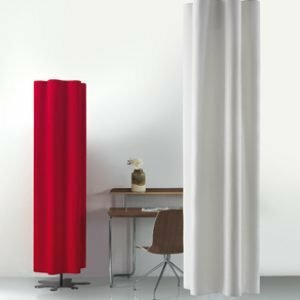 Sipario sound-absorbing system is made of modular panels with steel frame and washable, removable covering, made with Fiber technology applied with Velcro to the structure. 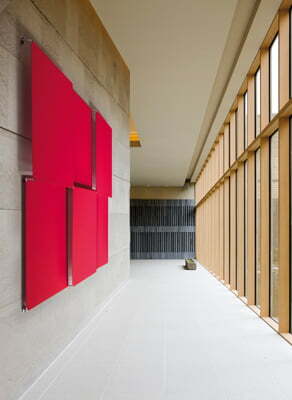 The structure is anchored to the wall by chromed metal clamps equipped with special springs that give the structure elasticity while also making it possible to adjust the distance from the wall and the tilt of the panels, to regulate the sound-absorption level of every configuration, adapting it to a variety of needs. 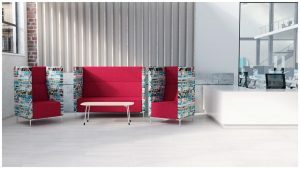 The composition of the panels creates a diversity of configurations, allowing the designer ample freedom of interpretation.